Choose one, two, or multiple colors from our palette and just have play around! 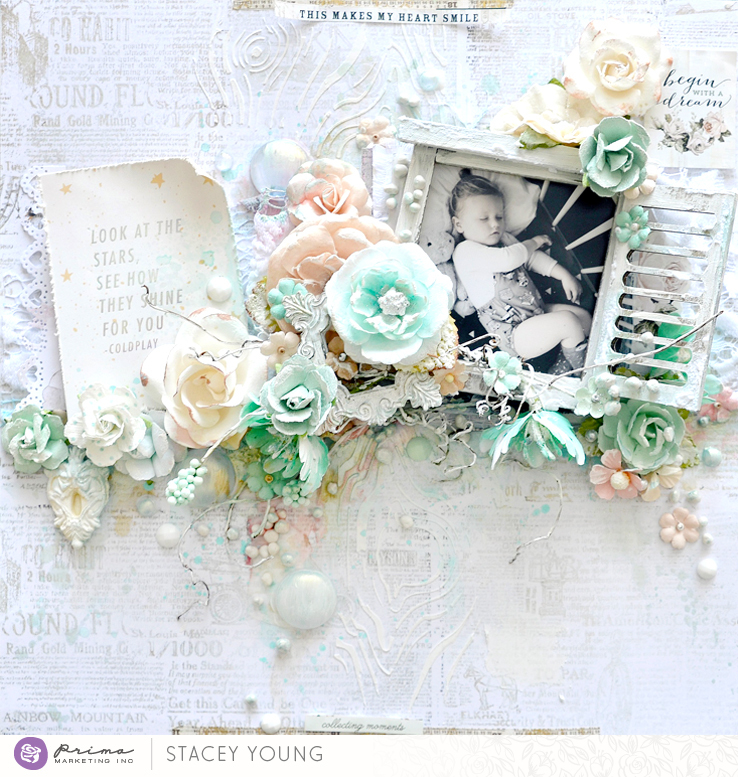 Stacey Young surrounded her handsome little guy with lots of light colors, then added the soft, sweet tones with flowers, Opal Magic paint, and Color Bloom sprays! 993931 Love Story - 12x12 Sheet "Love on Top"
Now how gorgeous are these projects? Are they inspiring you to dig out your soft, sweet Prima products and play along? We would LOVE that! Just tag us when you post and we will send some love your way!